We are offering BOPP Transparent Tape to our client. We have gained recognition as an eminent enterprise, devotedly engaged in manufacturing a broad range of BOPP Jumbo Transparent Tape. 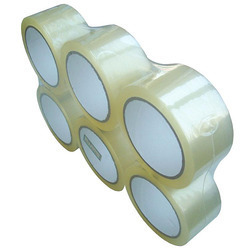 - These premium quality transparent tapes have superb adhesion strength and strong holding ability which makes it useful for various types of material. Owing to the wide experience of this domain, we are instrumental in offering Transparent BOPP Tape to our clients. With the help of our professionals, we have been able to offer our clients with Transparent BOPP Tape. - Packing & carton sealing. - Packing carton boxes with automatic. - Clear, crystal clear and tan are available. 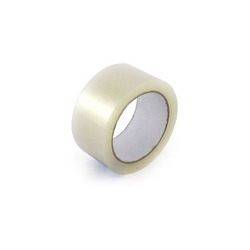 Transparent BOPP Tapes that we offer are available with a wide variety of packing tape rolls. These Transparent BOPP Tapes are manufactured by quality raw materials from reliable sources. The company uses advanced technology to produce different sizes of Transparent BOPP Tapes. - EZ-BOPP is Biaxially Oriented Polypropylene (BOPP) Film coated with water based adhesive. - Brown, Transparent and other colors like red, green, blue, orange and black are available. High Valley Insulations Pvt. Ltd. Pioneers in the industry, we offer BOPP Tape such as BOPP Transparent Tape Roll, BOPP Brown Tape Roll, BOPP Transparent Tape, BOPP Jumbo Tape, BOPP Printed Tape and BOPP Brown Tape from India.